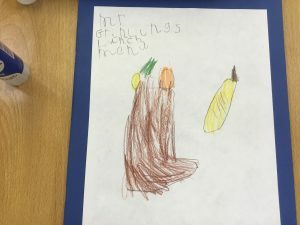 In Reception, we have been learning about houses and homes. 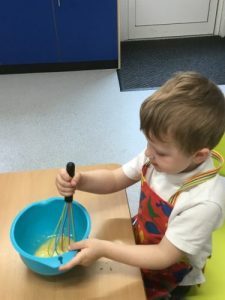 To prepare for the grand opening of our new food tech room, we have been reading and responding to the book ‘The Lighthouse Keeper’s Lunch’ by Ronda and David Armitage. 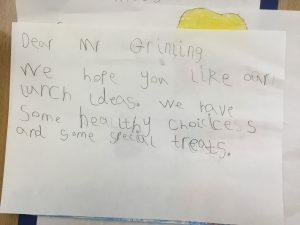 The story is about the basket of food prepared for Mr Grimling’s lunch that is sent down from the cliff cottage to the lighthouse each day on a zip wire! 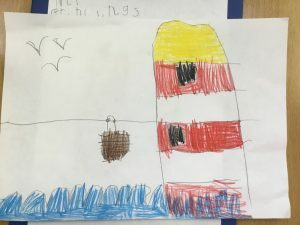 However, before it arrives the pesky seagulls steal his lunch. 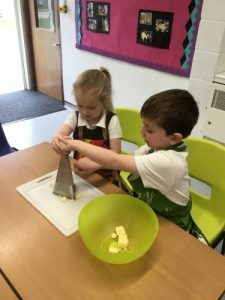 SO Mrs Grimling decides to trick them by making mustard sandwiches! 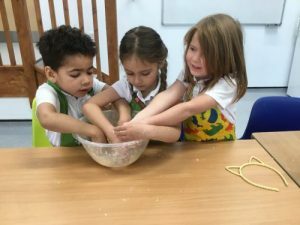 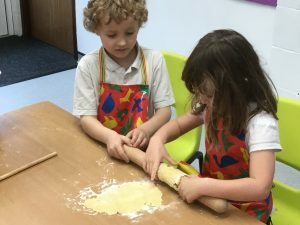 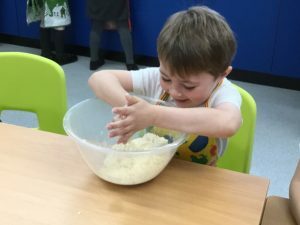 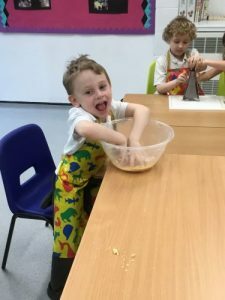 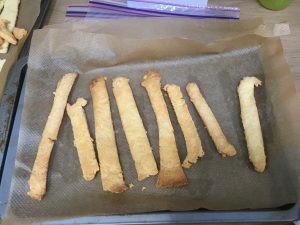 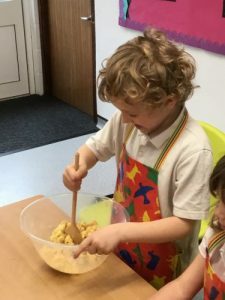 Having designed our own menu of healthy lunch ideas for the Lighthouse Keeper (with a few special treats), we then made our own delicious cheese straws as a yummy addition to a picnic. 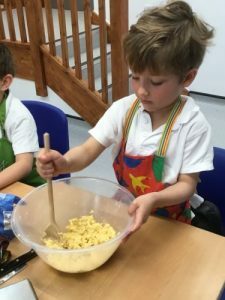 We even added a pinch of mustard powder for flavour but also to ward off the cheeky seagulls! 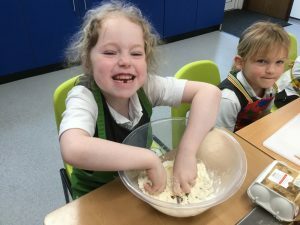 Thank you to Miss Howett for her help with this activity. 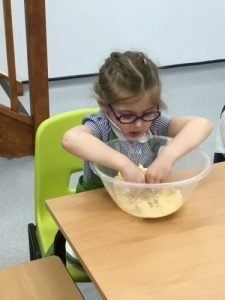 We are looking forward to sharing this work with Mr Oliver in our special assembly.